Another disappointment news arrives for Lazio as they reportedly pulling out their deal in loaning out Manchester City’s striker, Roque Santa Cruz, as the player is looking for a permanent move rather than becoming a temporary solution. The Biancocelesti president, Claudio Lotito, himself revealed that his team accepted, Santa Cruz’s decision and decided not to follow through on the deal since the capital club isn’t prepared to permanently sign Cruz this winter. “We take into account Santa Cruz’s reaction and his desire to make any transfer permanent, We are aware of this and consider it a wise decision for him. It’s no coincidence that Lazio seek a strong rapport with their players and therefore understand his questions and ambitions,” Lotito stated. 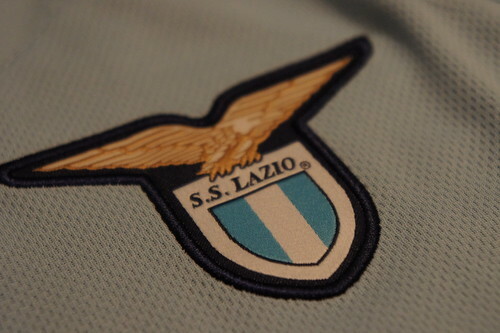 Cruz’s decision surely disappointed Lazio that have actually had the deal on the cards as Manchester City agreed with the Italian club’s proposal and practically only needed the player’s approval, which in the end didn’t occur. After missing out on the Paraguayan in the summer, it looked like the Biancolesti surrendered the idea of signing the ex- Bayern Muenchen striker especially after San Cruz refusal of the capital club’s offer. Having already missing out on another target, Hugo Almeida, Lazio will try to be more selective in picking up a new target as Lotito stated that the new player must not disturb the balance that the club has managed so far. The club president confirmed that any new players that will arrive has to be someone asked by the coach and can complete the squad that the capital club already had at the moment. “Any reinforcements, should they be requested by the Coach, will be made to safeguard the balance that we have fought so hard to achieve and that nobody wants to alter,” Lotito added. Still successfully standing at the second place in the league and only three points away from the leafer, Ac Milan, the Biancocelesti seemed keen on exploring their chance in competing for the Scudetto this season. Surely acquiring Santa Cruz would actually be an important move for them as the striker could provide at least an extra addition to complete Lazio’s forward line especially considering the Paraguayan’ playing style that would suits well in Italian football.